Improv is a useful tool for actors, which helps bring forth ease and sincerity in your acting. Plus, it makes auditioning easier and less stressful. In this 8-week class, not only will you gain the skills and confidence to stray from the script when needed, you will learn how to apply different improv techniques to engage with your scripted material in fresh ways. 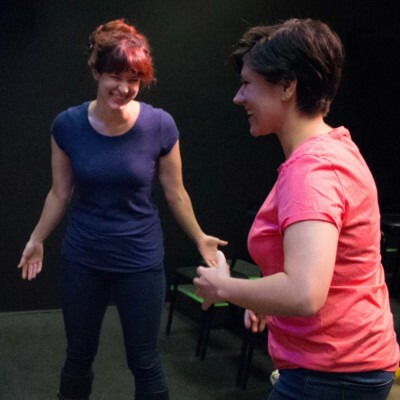 After taking both her Improv for Actors and Character Intensive classes, I felt empowered as an improviser and found a renewed confidence and love for improv. Under her expert tutelage I was able to take my Improv skills to the next level, which we all know equates to more work as an actor! If you want to take control of your professional development and want to expand your acting abilities, take any class this amazing teacher has! At the end of the session, I walked away a stronger improviser and actor.